On September 22, 2015 at approximately 10:30 P.M., the Newton County Sheriff’s Office received a phone from an anonymous caller stating they heard arguing followed by gunshots in the Yardelle area. Shortly thereafter, the Sheriff’s Office received a call from a female in the Western Grove area stating that she was taking her son to the hospital with possible gunshot wounds. Deputies responded to the area and spoke with Jordan Nichols, 23 of Yardelle, who stated that that he had been attacked by two individuals in the county road in front of his residence. The man stated he was hit and knocked to the ground where the attack continued. He stated he feared for his life and thought one of the attackers had a weapon. He then produced a .25 Auto handgun and began firing on the attackers, striking one of them and possibly the other. 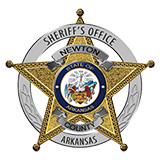 Other deputies, along with the Harrison Police Department responded to the North Arkansas Regional Medical Center’s Emergency Room to follow up with the shooting victim. At NARMC, deputies spoke with Phillip Hood, 35 of the Western Grove area. Hood had been shot numerous times and was being treated for his injuries. Hood told deputies that he had been shot after going to Nichols’ residence, finding and hitting him. Hood stated he thought Nichols had ripped off a “buddy” of Hood’s. A second person in the vehicle with Hood, Matthew Mills, 27 of Pindall was believed to have been hit by the gunfire as well, but fled the area after dropping Hood off at his mother’s residence in Western Grove. The Newton County Sheriff’s Office and Arkansas State Police are working with the Searcy County Sheriff’s Office to try and locate Mills to check his welfare and further the investigation. Hood was later airlifted to Mercy Hospital in Springfield, Missouri with serious injuries. The investigation continues and charges have not yet been filed at the time of this press release. Anyone with information about the case or the whereabouts of Mr. Mills is asked to contact Investigator Kevin Thomas at the Newton County Sheriff’s Office at (870) 446-5124. Mr. Mills has been located, Thank you.